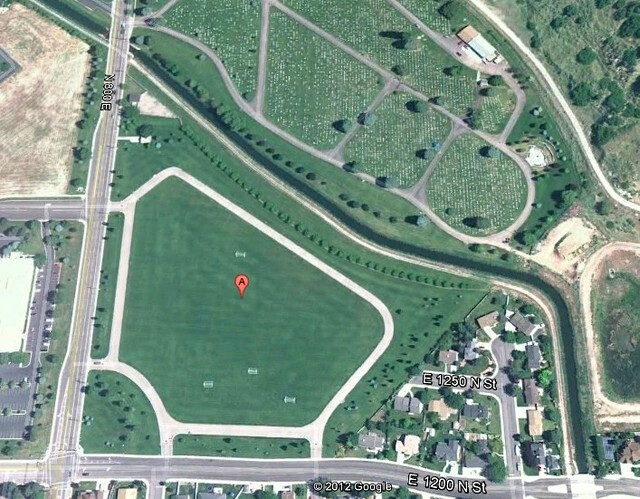 Cemetery Field in Orem is a great expanse of open grassy acres providing fields for soccer, outdoor games, and space for area residents. However, it is only temporary. The land was purchased by Orem City for future Cemetery expansion and is being utilized for recreation until it is needed. In 1995, Orem purchased the land below the Orem City Cemetery to be used for a future cemetery expansion. Until it is needed, Orem has developed the grounds as soccer fields and a walking/jogging track. Because of the lack of trees, residents frequently use the grounds for remote-control airplane-flying, Frisbee tossing, and kite-flying. The 16 acres area originally contained four houses that were razed as a requirement of the bond financing. Ground was leveled and grass was planted for what has become one of Orem's most used city recreation spots. When the land that is now Cemetery Field was purchased by the city in 1995, it was always intended to be used for the expansion of the adjacent Orem Cemetery. To maximize the use of city fund, the 16 acres were cleared and developed as soccer fields, a track, and open area for other outdoor recreational activities will continue when the property becomes cemetery grounds. While it was initially thought that the cemetery acreage could be used for recreation until 2020, it now appears that the expansion and use of the field will need to take place in 2015-17. The City plans to keep the walking/jogging track available for as long as possible, even after Cemetery Field plots have been sold. 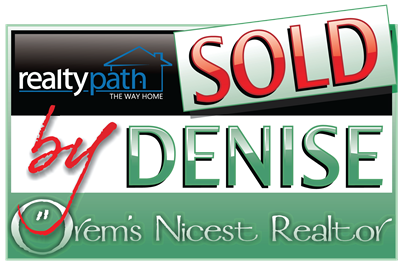 known as Orem's Nicest Realtor.